What do cancer, learning disorders in children and neurotoxicity have in common? 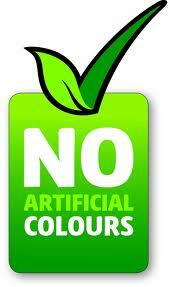 Petroleum based Artificial food dyes. In the 19th century, these were originally developed to color textiles but today we snack on them…constantly because they are in everything. The brightly colored cereals, sports drinks, and tasty movie popcorn are just the blatantly obvious examples of where artificial colors are lurking in your so called “food.” The food industry squirts 15 million pounds of dye into our food yearly. I do not think people are intentionally eating foods that contain these toxic chemicals; however, for convenience sake and for the sake of habit we seem to take in our fair share, starting first thing in the morning with our toothpaste. It is time to ask yourself this question every time you go to eat. “Is what I am about to ingest naturally this color? Or… has a synthetic petroleum based chemical been added to it to make it look this color?” If you answer it honestly, this is a great place to start. We must protect out future generations. These chemicals added to make our children’s food look fun, are banned in other countries around the world because their governments did not feel they were safe to add to the food supply. We are the human experiment in our country. Here are three reasons NOT to consume artificial colors in your diet. 1. They cause cancer or are carcinogenic. The term carcinogenic means there have been changes/mutations made to the DNA. In laboratory rats, artificial colors including Blue 1 and 2, Green 3 Yellow 5 and 6, & Red 40 showed signs of causing cancer. Red 40 was linked to thyroid tumors while Yellow 5 caused various mutations. There is no need to be choosy about which ones you ingest, eliminate them all from your diet and decrease your toxic load. 2. They cause behavior problems in our children. 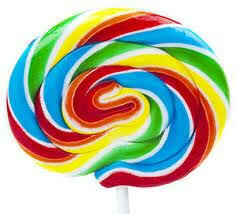 Artificial colors and flavors are linked to concentration disorders in children like ADD and ADHD. Presently there is not one state that does not medicate children for these issues. This may be common practice, but it is far from common sense. Below is a strong visual put out by the CDC. 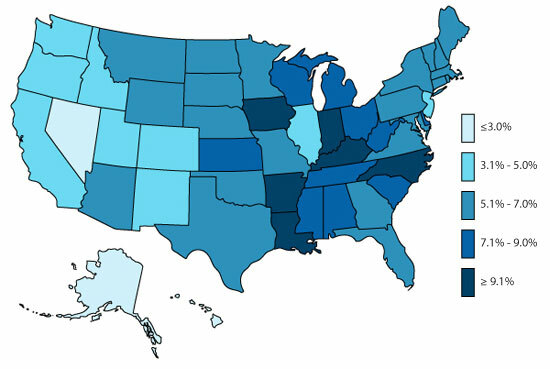 it is based on diagnoses and medication prescriptions from 2003 through 2011. I think it is safe to estimate these numbers have only gone up. 3. They are NEUROTOXIC as in poisonous to nerve tissue, brain or spinal cord. If this does not get your attention, it really should. Chronic illnesses due to neurotoxicity include but are not limited to Fibromyalgia, MS, Autism, Cardiovascular Disease, Depression, Rheumatoid Arthritis, IBS, Infertility, ALS, Parkinsons, Lyme, Diabetes, Optic Neuritis, Refractory Heavy Metal Toxicity, Pulmonary Hemorrhage, and Stroke. Our bodies when not functioning optimally are functioning in a state of either deficiency or toxicity. At the Keyes Ingredients, We encourage you to eat all the colors of the rainbow. You can do that by visiting your produce section. Choose whole, nutritious, non GMO foods that do not require a food label. Click here http://www.thekeyesingredients.com/four-mulas/ to visit our recipe section for ideas on how to prepare whole, nutrient dense meals. Healthy people are happy people. If this article has peaked your interest on how you can take a step in the right direction on your health journey we would love to help. We specialize in healthy and we we start from the inside out. We look forward to hearing from you and can be reached at 936.447.9484.